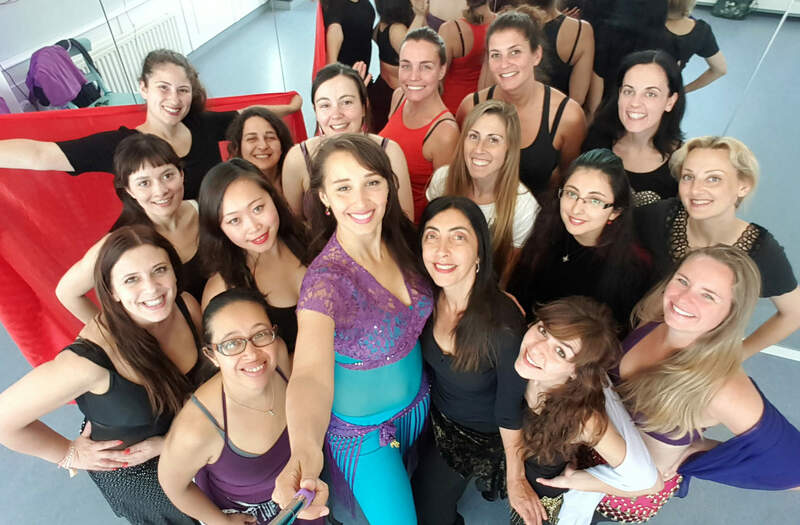 When you are living in the Netherlands my local bellydance classes in Amsterdam are a very good option for you. I offer classes in all levels. 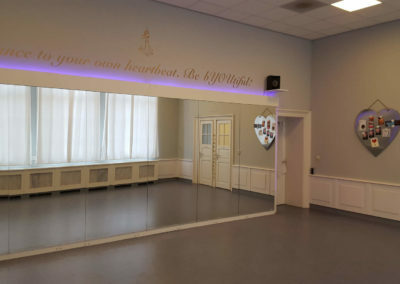 They take place in the Heartbeat Dance studio. There is a membership system, so you can choose to become a member for half a year or for one year. Becoming a member has many benefits! If you want to try first, you can order a trial class. Still not sure? Then you can take just a single class. In general all classes are thaught by me, Aisa Lafour, but 1 x a month either Marcia Nuriah or Franka Piqué will be teaching the classes. Also when I am away on tour or for whatever other reason, one of them will be teaching. Below you find all information that you need for the classes. I look forward to meet you in the class. In all the craziness from the day-to-day life, now dancing is the only real connection I have with myself. Everyday as an engineer, my work is accounted for in parameters, standards, rules, formula and judgements. In dance I lose all of these and I can only feel. For me it is a breakthrough … a way to connect to myself. I decided to pick Aisa as my teacher because I love her style and her performances and videos really inspire me. And I did a very good choice! She helped me a lot in taking control of all movements. She’s very clear in the explanations and she pays attention at all details. I love her commitment and she transmits this to the pupils as well – which is so inspiring. Dancing is a pure relaxation for me. 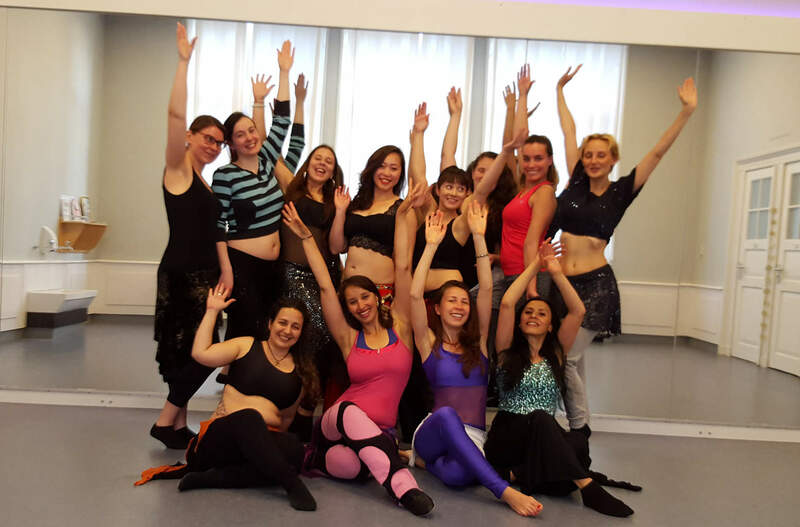 I have started bellydancing because I was a doing a lot of martial arts but I wanted to create a balance with my feminine site. 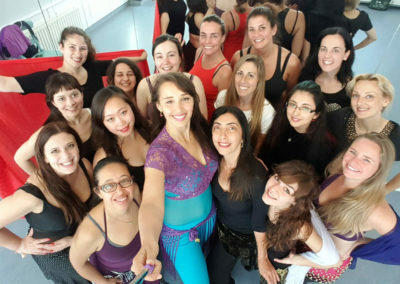 When I started I felt that i really enjoyed the music and dance very much and I loved to learn more about the Arabic culture, as I am half Moroccan and half Dutch. Now bellydancing is an important part of me and I already practice it for years now. For me, bellydance is the most effective and pleasurable way to stay healthy and happy. I call it my medicine. Life’s challenges tend to cramp my shoulders and neck and the daily work routine emphasizes thinking rather than feeling. While dancing I move from my head to my body and I can release the built-up tension. 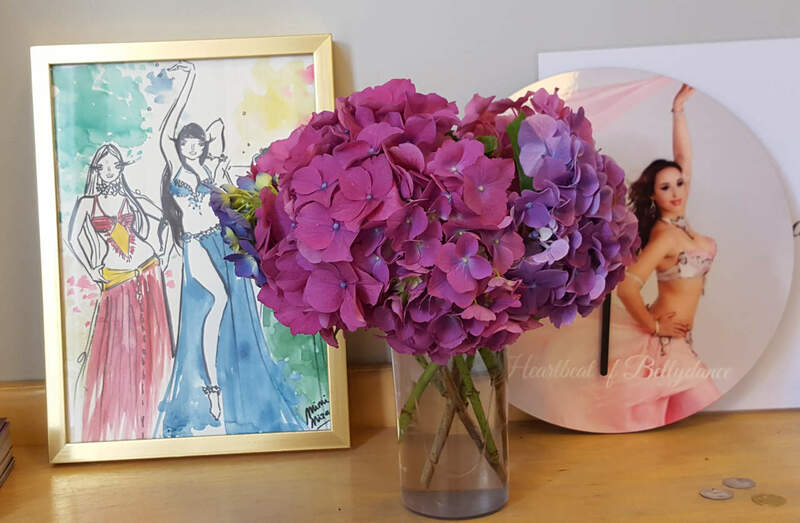 The elegant en feminine movements also help me a lot to recognize my own beauty as well as the unique beauty of all the other ladies in class. IMPORTANT: Entrance from 18:45 NOT before! New schedule from October 8th! You have a spread payment with automatical incasso. This membership is a all you can dance membership. You can follow all bellydnace classes that I offer, as many times as you want as long as you are a member. Of course it’s best if you come to the classes that fits your level. 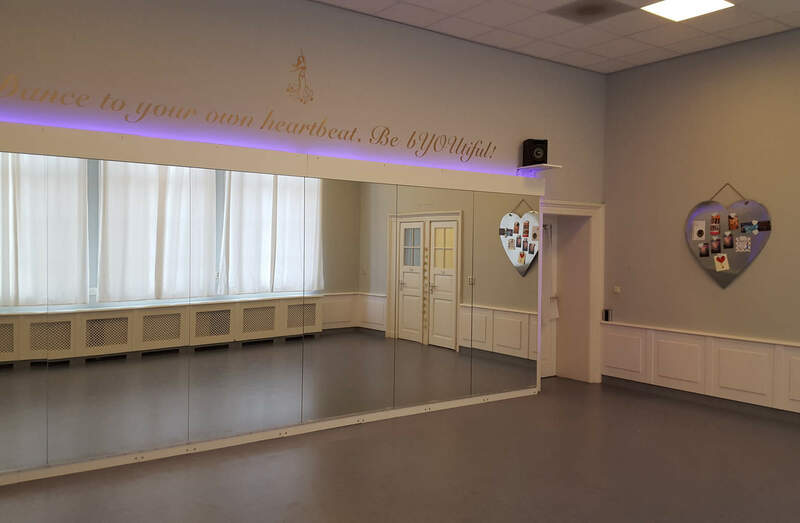 During Christmas holidays and Summer holidays you will get access to online classes or intensive summer workshops, so even in the vacation you can keep on dancing. 1 Month before the membership expires you can inform whether or not you want to continue after completing the membership. After completing the membership it´s your choice if you order a new membership. If you renew your membership, you receive a 15 % discount for the first new month. A trial class costs 10 euro incl 21 % VAT (btw) and can be done only 1 time. Please pay by the button below and send an email to info@aisalafour.com and let me know the desired date and level of your trial class. A single class costs 15 euro incl. 21% VAT (btw). You can pay online by clicking the button. Please pay by clicking on the link below and send an email to info@aisalafour.com to let me know the desired date and level. Become a member for 3 months and experience many benefits. It’s only a single payment. You can dance as many time as you can in this 3 months. You will also get access to the online academy. Please note: You can’t cancel the membership in between the 3 months, only postpone in special situations! Become a 1/2 year member and experience many benefits. It costs 45 euro per month. By paying you activate the automatic monthly payments for the membership in 6 payment terms. Please note: You can’t cancel the membership in between the 6 months, only postpone in special situations! Become a 1 year member and experience many benefits. It costs 40 euro per month. By paying you activate the automatic monthly payments for the membership in 12 payment terms. 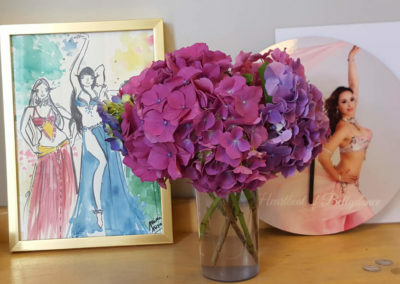 In the holidays there are no local classes in Amsterdam, however in the Christmas and the Summer holidays I will provide online classes or summer classes, for the members. This equals missing classes.